Dr. Mikhail Ovchinnikov, atmospheric research scientist at Pacific Northwest National Laboratory, has recently been appointed to the American Meteorological Society (AMS) Cloud Physics Committee. He will serve for three years. The AMS is a scientific and professional organization promoting and disseminating information about the atmospheric, oceanic, and hydrologic sciences. Its 13,000 members include scientists, researchers, educators, broadcast meteorologists, students, weather enthusiasts, and other professionals in the fields of weather, water, and climate. Its activity is supported by 30 Scientific and Technical Activities committees. 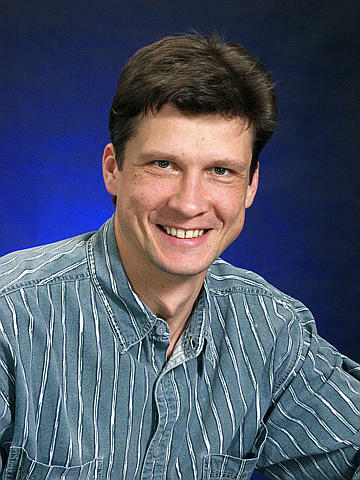 Ovchinnikov's current research interests include a wide range of topics in cloud physics, as well as cloud-related aspects of remote sensing, radiation, and atmospheric dynamics. His Ph.D. is in Meteorology from The University of Oklahoma and he has published more than 50 papers at PNNL, primarily on cloud research.